How clear she shines ! Brontës in the moon. never thought on the possibility of really being there. But there she is. Well, as matter of fact, all the family is there, thru Charlotte. "The names chosen for crater designations (at Taurus-Littrow) generally attempt to honor men and women who have explored the far limits of human endeavor. These men and women are representatives of many, many others of their generations who were or are true humanists - no matter what enterprise may call upon them for excellence." Charlotte was one of them. She has her own crater. It's a crater of 200 m of diameter. 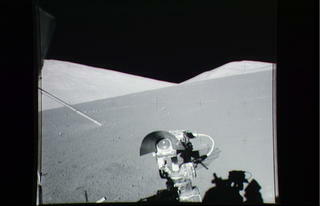 You can find the transcription of the astronaut's arrival here or even listen to them. By the way, there's also a Brontë crater in Mercury. 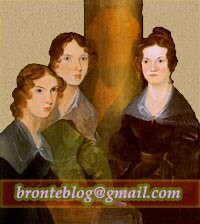 The Brontës conquer the universe.